Looking to set himself up in the championship chase, New York’s Dylan Tavella was once again near the front of the field at this past weekend’s Cold Stone Florida Winter Tour event. 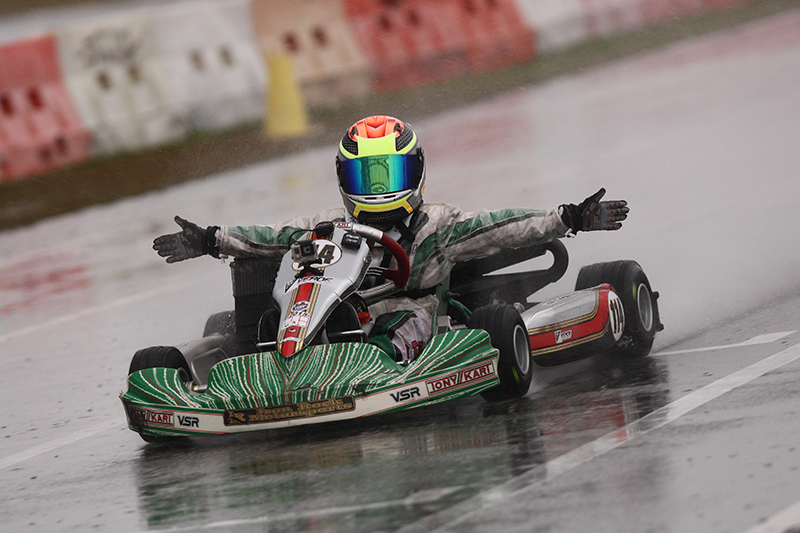 Taking place at the Orlando Kart Center facility in Orlando, Florida, Tavella turned tricky conditions on Saturday into a main event victory, his first win of the 2015 Florida Winter Tour program. After qualifying for both Saturday and Sunday’s events on late Friday afternoon, weather would move into the Orlando area as rain would fall throughout the day on Saturday. 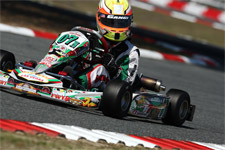 Taking advantage of his fourth place qualifying effort the day before, the Rotax Mini Max driver would move forward two positions in the prefinal to start his main event on the outside of the front row. With rain continuing to fall and track conditions treacherous to say the least, Tavella took advantage of his natural skills and abilities and drove to the front of the field. 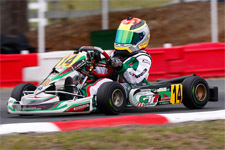 With nearly perfect kart control, the GT7 Motorsports driver was the man to beat during the main event as he quickly drove away from the field. A slight bobble mid-race would allow his competitors to have a chance, but other than that, Tavella was the man of the day. 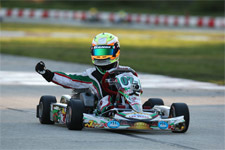 Taking the checkers 2.466 seconds ahead of his closest rival, the young Tony Kart driver added another victory to his already impressive resume. Back to the track on Sunday, a much drier day was in store for Tavella, and he would begin his prefinal from outside row six. Driving to seventh, Tavella would be able to gain one more position in the day’s main event to close his weekend with a sixth place result. Dylan currently sits fourth in the overall series point standings with one event weekend left. 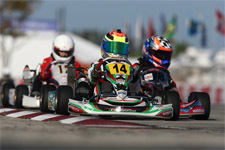 The week prior, Tavella would see himself aboard a ROK Junior powered Tony Kart competing against a stout field of competitors. Saturday would provide Tavella with a trying day after a 14th place qualifying effort would turn into a 14th place finish in the heat race. 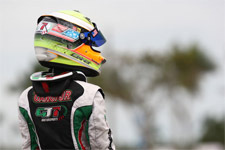 With a chance to move forward in the day’s final, Tavella would be involved in an opening lap incident that would see him drop out of the running and eventually be classified in 24th. Sunday would be slightly better for Tavella as the end of the day result was further up the running order. With an issue in qualifying that would see the Massapequa, New York resident be forced to start shotgun on the field in 29th, he was able to move up seven positions before the checkered flag would fly. 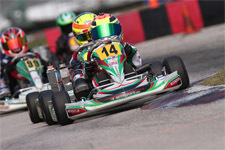 Starting the main event from outside row eleven, Tavella once again gained experience as he drove inside the top-fifteen, eventually finishing in the 13th position. Dylan would like to extend a thank you to all his sponsors: Anti3 Protect Series, Verde Speed Resources, Philip Joseph Jewelers, Argyle Jewelers, GT7 Motorsports, Diversified Private Wealth, Oakland Valley Race Park, Iron Rock Motorsport, and A.G.C Machine Corp, as well as a special thank you to Charlie Swayne and Tiffin Willareth for all their help at both event weekends.